Are China's Staff-less Stores a Glimpse into the Future? 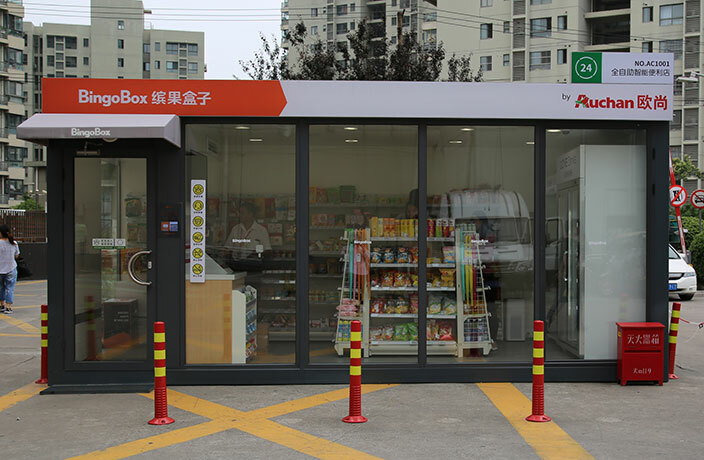 In the parking lot of Yangpu’s Auchan Shopping Center sits a new convenience store called BingoBox, and unlike your 7-Elevens, Family Marts and Lawsons, it operates without any human staff. A trend that is spreading throughout China, another automated 24-hour convenience store called Moby also made its debut in Shanghai earlier this year. The birthmother of this innovative concept is Wheelys, the same Swedish company that introduced the infamous traveling bike cafes. Un-manned convenience store concepts have also popped up in countries like the US and Japan over the years, and e-commerce giant Amazon has introduced Amazon Go stores with a similar concept of using technology to keep track of products, identify the consumer, and allow a human-free shopping experience. Moby and BingoBox are not the only human-free stores in China. 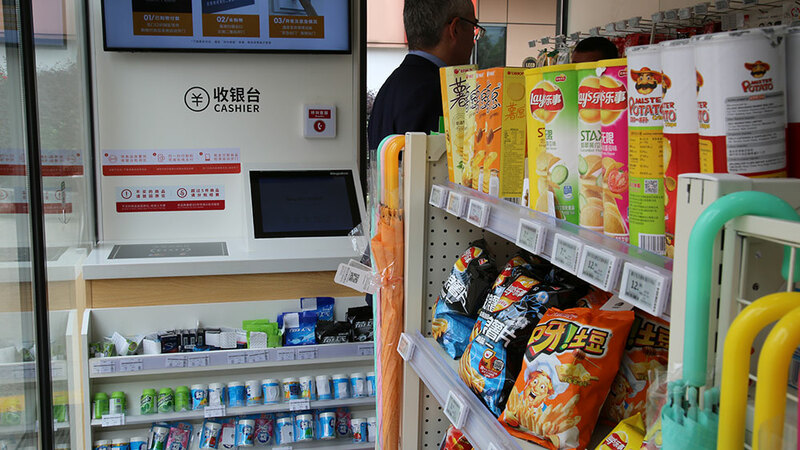 Another robotic convenience store in Guangzhou operates like BingoBox, relying on smartphone technology and a special terminal to allow the consumer to make purchases. While the idea is innovative and seems to be doing well globally, BingoBox still has some kinks to work through. Only one month after its grand opening, it was forced to shut down due to overheating. Fortunately, we were able to test out the futuristic convenience store before complications caused its premature and temporary closure. To enter BingoBox, one must use WeChat to scan a QR code and punch in a verification code. Once inside the store, you can browse through an assortment of regular convenience store offerings: cold drinks, snacks, umbrellas and, of course, alcohol. According to a spokesperson, they’ll be adding imported food to their product mix in the coming weeks. After choosing your items for purchase, you will place all of the items (a maximum of five) at the checkout counter, where the machine can scan a tag on the item. A cool safety feature of BingoBox is a sensor that can tell if all of the items you have with you have been paid for. If you have an item that you didn’t pay for, or if you forgot an item at the checkout counter, the door will stay locked until you have the appropriate number of items. Theft is therefore all but impossible, and if you attempt to leave BingoBox with any unpaid items, an alarm will sound off. But what if something goes wrong and you are locked inside? Well, in order to enter you must have a smartphone, so if by chance something does go wrong, you will be able to call and report the problem. During the first week of opening, Auchan employees were monitoring the store to ensure everything ran smoothly, but once operations are back on track, the only human beings inside the store will be customers. Win a Wine Voucher When You Review Your thMart Order! Share your thoughts with us and receive a wine voucher on thMart! The machine is able to monitor aquatic environments, equipped with a device that collects and tests water samples, as well as high-def cameras. With the help of investors, freewheeling startup 'gogo car' has converted 400 cars into mobile convenience stores. Ground breaks on a test site for unmanned ships in Guangdong province. Medical personnel were called to attend the scene, and declared the newborn healthy. Major VPN software appears to have been removed from China's Apple App Store. Sign up to get the entertainment, lifestyle and event news from That's Shenzhen every week!